Astros manager A.J. Hinch speaks to reporters before yesterday's batting practice. 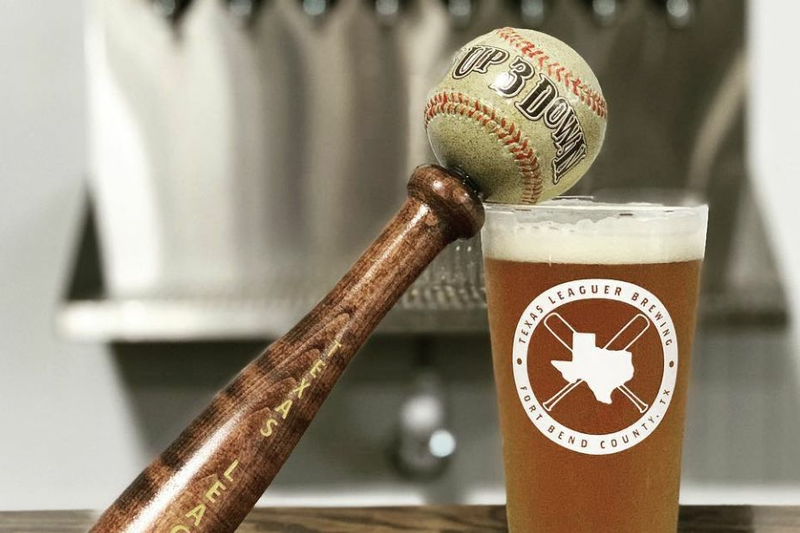 The roof was closed at Minute Maid Park yesterday, but somehow the gray mugginess of the afternoon made its presence known anyway. “Is it hot in here?” A.J. 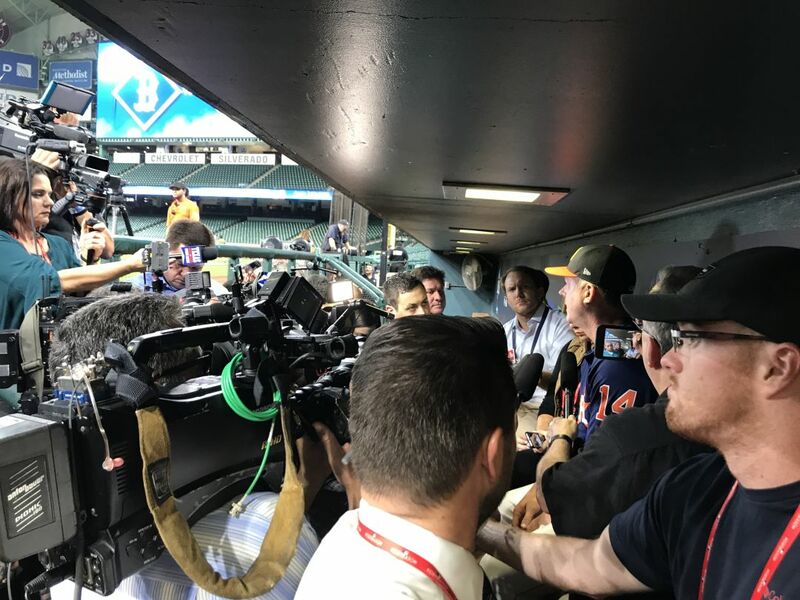 Hinch asked reporters, meeting with the press in the Astros’ dugout before the team’s afternoon workout. The reporters agreed that it was. All baseball managers like to project an image of serenity, but Hinch likes to go further, to actually be serene, something distinctly difficult to accomplish when beads of sweat are forming on the back of a man’s neck. 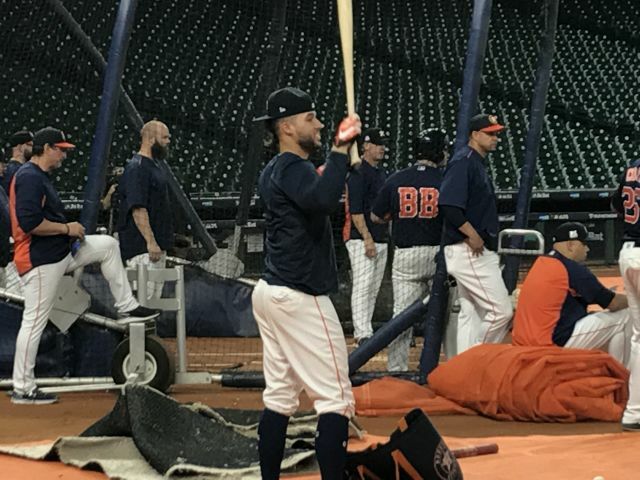 A nail-biting Jose Altuve takes the field for batting practice with his fellow Astros. 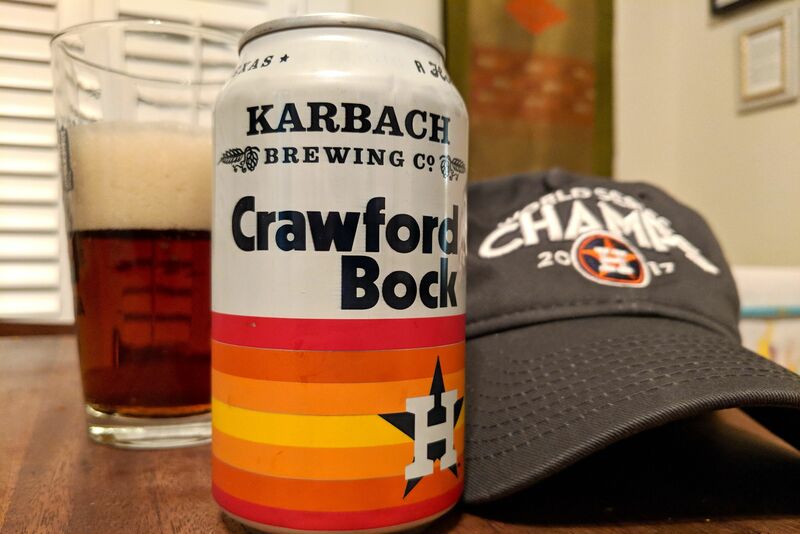 But he succeeds more often than not, which is a very good thing, as Hinch leads the Astros, a high-energy and spirited ball club if ever there was one. You get the sense that his role is not so much to rein in the team’s energy as catalyze it—by calming his players’ nerves ever so slightly, he can set them loose to devastating effect. A.J. 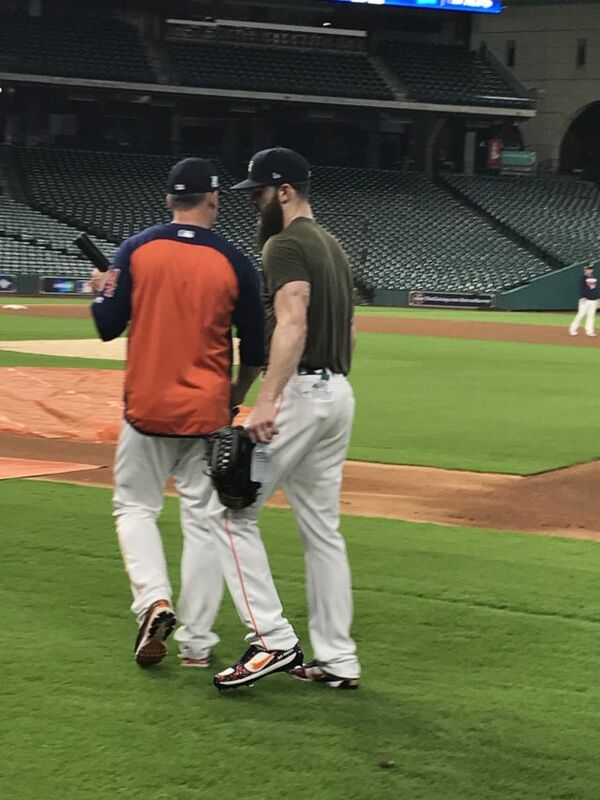 Hinch confers with game 2 starter Dallas Keuchel before yesterday's practice session. George Springer waits his turn at batting practice. 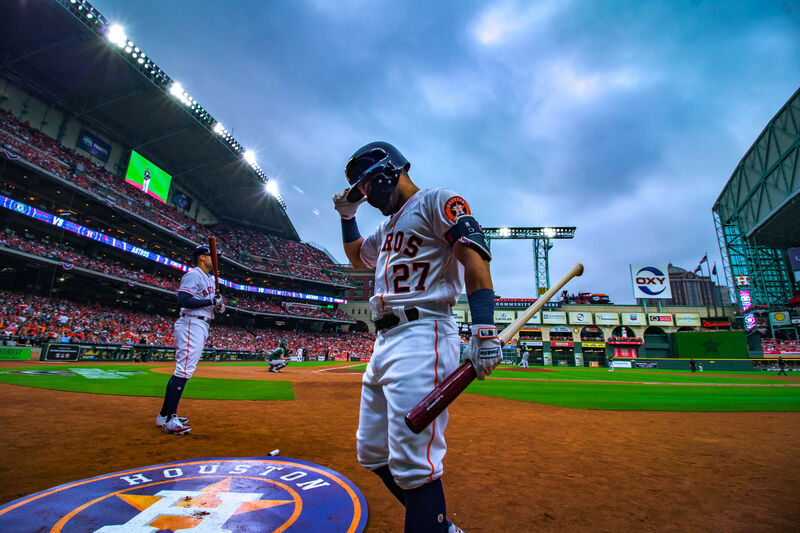 Yuli Gurriel. Even as “ALDS 2017” flashed on the big screen above them, and enormous “Earn History” signs bearing their faces were hanging from the stadium walls outside, the atmosphere was curiously fun and relaxed. Alex Bregman cracked up at something Altuve said. 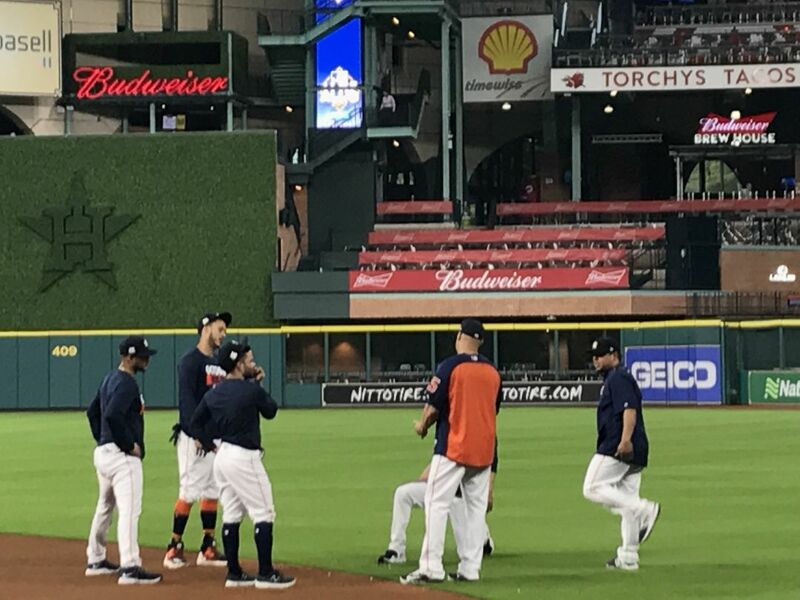 George Springer leaned into bench coach Alex Cora, putting his arm around him. Later, watching them all, a half-smile would even find its way onto Hinch’s face, although only for a moment. Soon, it was replaced by something else, a look of admiration, a look that seemed to say I only hope the world gets to see what they can do. 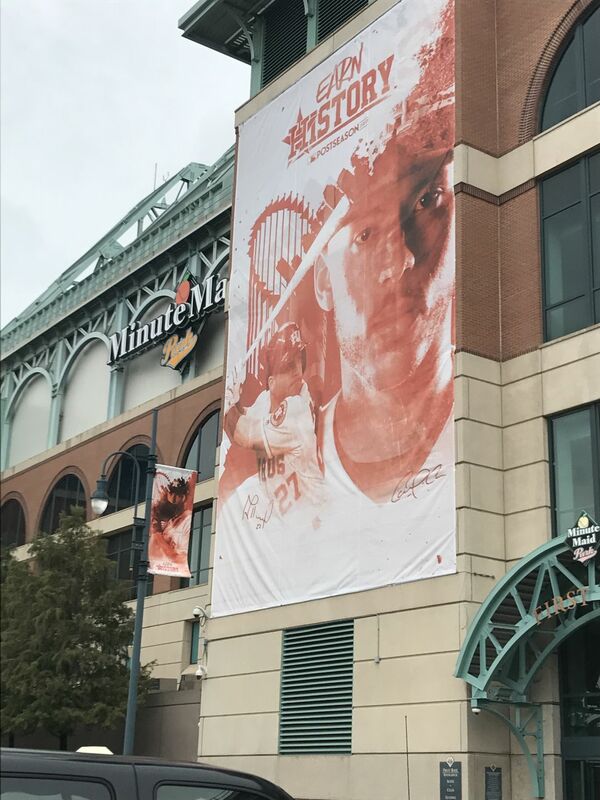 Expectations are huge, and so are the posters hanging outside Minute Maid Park.